Pattern Baldness is often misdiagnosed for other diseases. Many pet owners take there Curly to the vet with brittle coat, bald patches, uncurled hair. Often thyroid deficiency, parasite problems, or food allergies are blamed. No one is 100% sure what causes Curly pattern baldness. It is believed to be caused by some type of immune problem. The hair loss is bilateral. Bald patterning appears on the backs or insides of the hind legs, flanks, and on the front and sides of neck. A minor indication of patterning may be overall thin or brittle coat, or dogs with uncurled hair on there sides. Some dogs pattern only once. Some are patterned for life. Some are so slight you only notice when they get wet then you can see that the hair on the backs of the rear legs is thin and not a good covering of curls. Often people blame neck patterning on the type of collar they use. 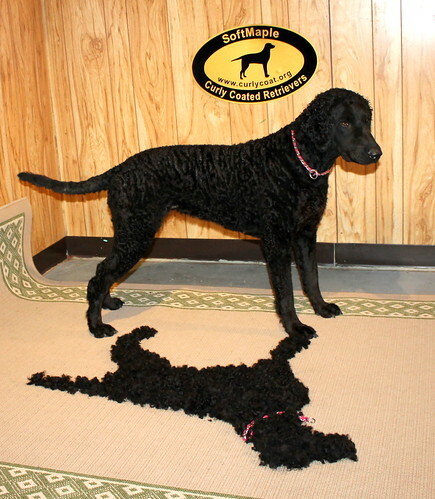 But even if you call it a collar rub, the Curly Coated Retriever's coat should be strong enough not to break to the skin when they wear a collar. 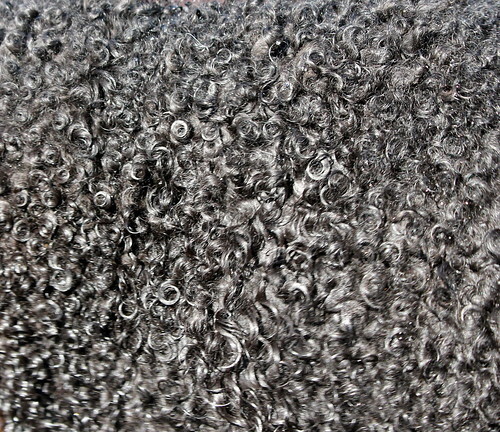 Some people have had their curlies tested for Follicular Dysplasia. Follicular dysplasias are a group of syndromes which have in common abnormal hair loss and changes in coat quality. Hairloss � Follicular Dysplasia: Individual Portuguese Water Dogs can exhibit a genetic form of hairloss expressed as follicular dysplasia. It presents itself as patterned hairloss generally on the torso of the dog but can affect larger and larger regions of skin over time. The follicles of the hair are abnormal, or dysplastic, allowing the hair to fall out. In the early stages of this genetic hairloss, the hair will re-grow. Episodes of hairloss are often associated with environmental stress factors; such as but not limited to, inoculations, surgery, and / or illness. Many different breeds (Dobermans, Malamutes, Irish Water Spaniels, Boxers, etc.) have a follicular dysplastic condition. Some are structural follicular dysplasia like the PWD, while some are cyclic. Breeds with the cyclic problem produce normal hairs but the hair cycle is abnormal so that hairs fall out. Dogs with structural follicular dysplasia, the PWD, Doberman Pincher, etc., produce abnormal hairs that become more abnormal with time. After numerous episodes, the hair ceases to regenerate. It has been found that all Portuguese Water Dogs with genetic hairloss have follicular dysplasia. 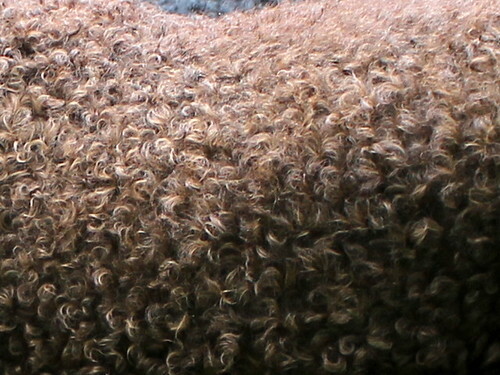 It appears to primarily present itself in curly dogs produced from the mating of a curly sire to a curly dam. To date there is no verification of a genetically wavy Portuguese Water Dog exhibiting this genetic condition. With this condition there is gradual, symmetric thinning and loss of hair (alopecia) that usually begins by 6 to 9 months of age and progresses slowly until the affected areas are completely bald. Areas of hair loss are not itchy but may become darkened and scaly over time. There are 3 different patterns of baldness that occur. In the most common syndrome, dachshunds and other breeds (mostly female animals) experience hair loss around the temples, underneath the neck, and on the chest, abdomen and back of the thighs. In dachshunds with pinnal alopecia (mostly male), the hair is gradually lost from both ears. 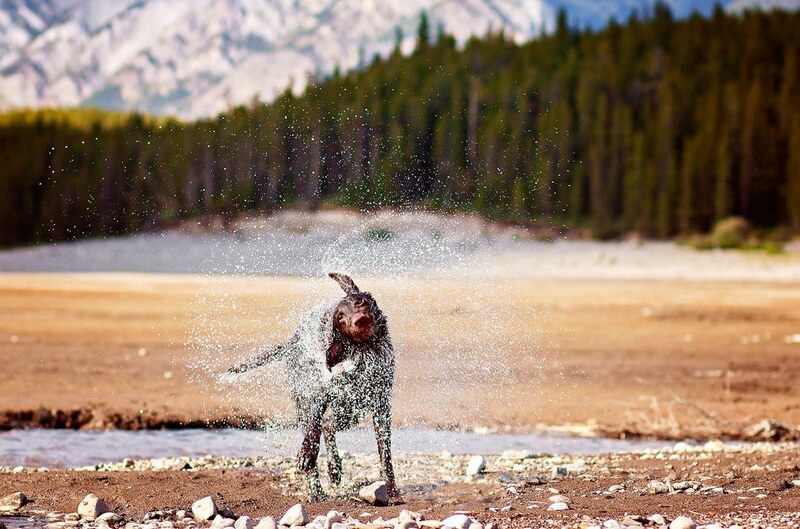 Saddle alopecia occurs in American water spaniels and Portuguese water dogs, with hair loss underneath the neck, on the back of the thighs, and on the tail. Why does my curly have a bald spot on his tail? There is a scent mark on the tail (also called the precaudle gland) which is located about 1/3rd of the way down the length of the tail. You may notice a change of color in a liver dog. Other times the texture of the fur will be different. Sometimes it is characterized by an oily or scaly matting of the hair over the tail gland which may or may not be accompanied by hair loss. In dogs this gland is no longer functioning. Although, cats also have this gland, and it still functions. Also called Stud Tail. Many times this bald spot, if present, clears up and fills in at maturity. Using Oxy Wash on the area. A horse product called "Epi-Coat" two times a day to area.